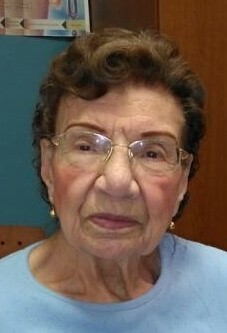 Obituary for Nemesia Blancas Portilla | Allen Brothers Mortuary, Inc.
Nemesia Blancas Portilla, 91, of San Marcos CA passed away on January 10, 2019. The funeral service will be at 11 a.m. on January 25, 2019 at St Marks Roman Catholic Church in San Marcos. Visitation will be from 5 to 8 p.m. on January 24, 2019 at Allen Brothers Mortuary in San Marcos. Burial will follow the funeral at the San Marcos Cemetery. Nemesia was born in Mexico City on September 19, 1927. She is survived by her Sister and brother-in-law, 3 agnate siblings, cousins, and many nieces and nephews. "Being happy doesn't mean everything is perfect." It means you've decided to see beyond the imperfections! "God didn't promise days without pain, laughter without sorrow, or sun without rain, but he did promise strength for the day, comfort for the tears, and light for the day."